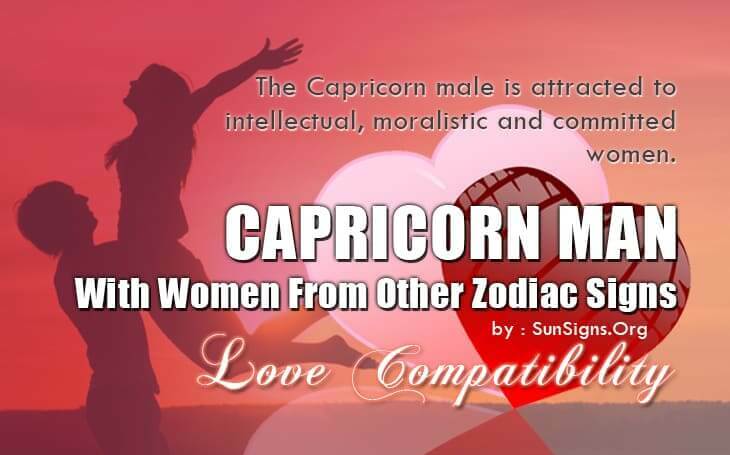 The Capricorn man is attracted to women who are able to see life from his sensible and no-nonsense point of view. Let’s see what kind of women he likes to date or get married to. Take a look at the love and sexual compatibility of the Capricorn man with women of the 12 sun signs.